We often see people asking their friends to hold their cup of coffee so they could quickly respond to an important text on their Smartphone while moving across the marketplace. 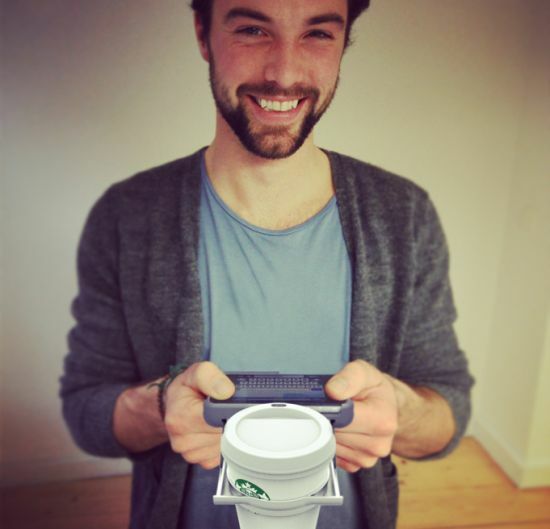 Providing a solution, Dutch design firm Natwerk has come up with an innovative iPhone accessory called the “UpperCup” that not only lets you type a message using both hands on the go but also holds your cup of coffee without bothering a person walking alongside. 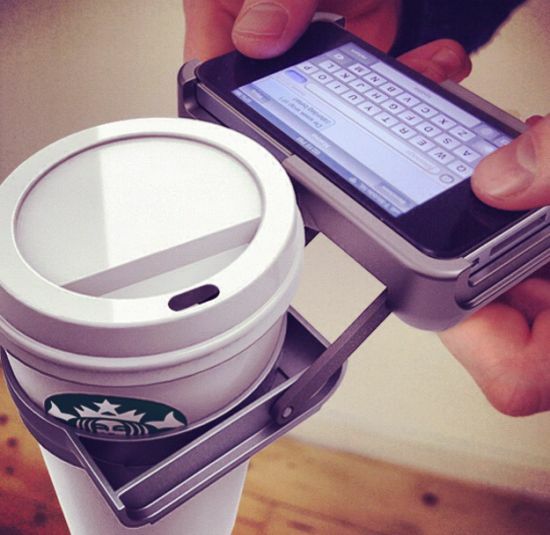 With new iPhone cup holder, now you can keep your hands free for quick and easy texting, gaming and social networking on your Smartphone and that too without spilling coffee on your lap. Cool, isn’t it! 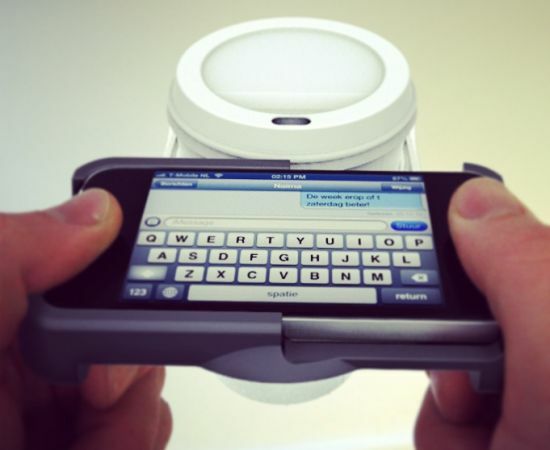 Claimed to be the first cup holder for the iPhone, the UpperCup offers an innovative solution for avid Smartphone users. The UpperCup will retail at $35 by April this year, but you can preorder your iPhone cup holder now for discounted price of $25 for the iPhone 4 and $30 for the iPhone 5.